On July 29, Shakhtar’s head coach celebrates his birthday. Mircea Lucescu turns 70. The Romanian specialist has been managing the Donetsk team for 12 years now. Under his leadership, several generations of players have changed. Mister is the club’s record holder for the longest period as the team’s head coach and is the most successful coach in the history of the Pitmen. 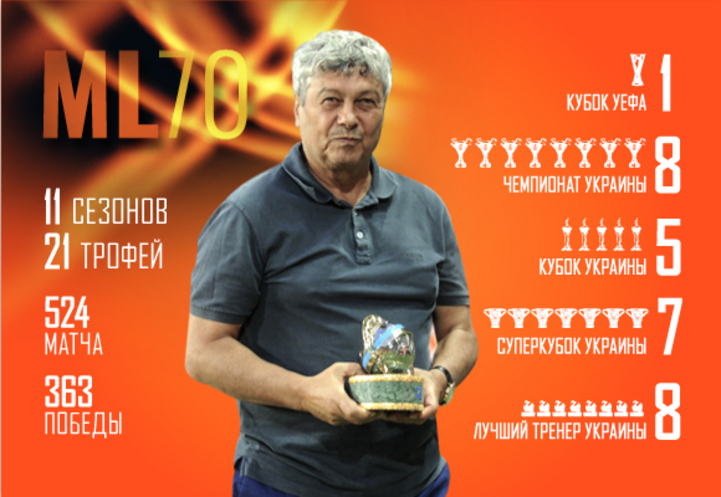 As of now, the team have already won 21 trophies under Mircea Lucescu! The most outstanding achievement at the European stage is a triumph in the last ever UEFA Cup competition in 2009. Mister has already guided Shakhtar to 8 Ukrainian league titles. The Pitmen have won the domestic Cup trophy on 5 occasions, claiming 7 victories in the Ukrainian Super Cup. We would like to wish our coach sound health, happiness and new bright victories. May all the plans come to pass. Happy Birthday!